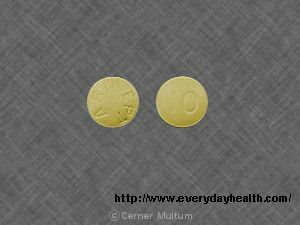 Can Aricept be used for Dementia? The prescription drug Aricept is commonly used for Alzheimer’s disease and its derivatives. Aricept for Dementia is prescribed throughout the United States to help improve the function of nerve cells in the brain. Aricept for Dementia works by impeding the breakdown of a chemical known as Acetylcholine. Patients who suffer from Dementia typically have low levels of Acetylcholine, which causes a general deterioration in memory, reasoning and thinking. Aricept for dementia is used to treat only mild to moderate cases of Dementia caused by Alzheimer’s disease. Aricept, which also goes by its generic name Donepezil, may also be used for other purposes not listed in this article. Before taking Aricept for dementia, you should tell your doctor if you suffer from slow heartbeats, urination problems, asthma, an enlarged prostate, epilepsy (or other seizure disorders, or obstructive pulmonary disease. Also, if you need any type of surgery, you must tell the surgeon ahead of time that you are taking Aricept for dementia. Aricept for dementia may cause numerous side effects that ultimately disrupt your reaction time and/or thinking. If you are taking Aricept for dementia please be careful when driving or performing any activities that require attention and alertness. If you have any of the above conditions, you may need to a dosage adjustment of Aricept for dementia. Your doctor will perform tests to figure out what amount of the medication is appropriate. Do not take Aricept for dementia if you are pregnant—Aricept for dementia may be harmful to unborn babies. Please tell your doctor if you are pregnant or planning to become pregnant while being treated for dementia. It is currently not known whether Aricept for dementia passes into breast milk or if it could harm nursing babies. Regardless, do not use Aricept for dementia without informing your doctor of your breast-feeding.